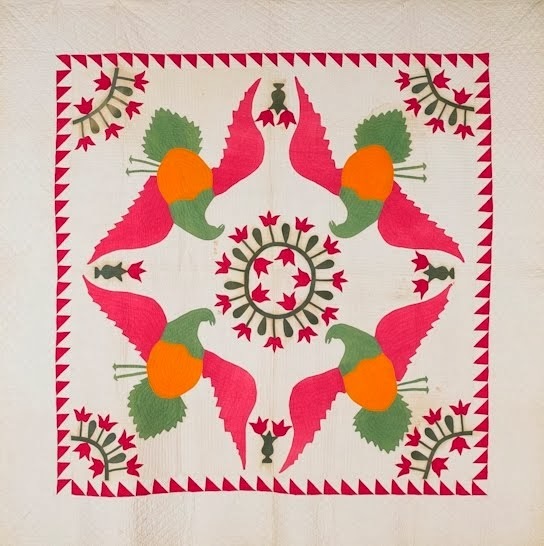 Detail of circa 1890 cotton crazy quilt top. 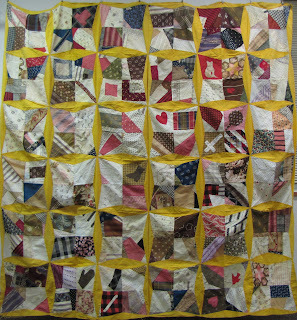 This block and the whole quilt is chockful of great novelty and conversation prints. Love the appliqued cat who hasn't lost her mitten. Also the novelty running horse and of course, the printed patchwork aka cheater cloth (a pretty famous print). 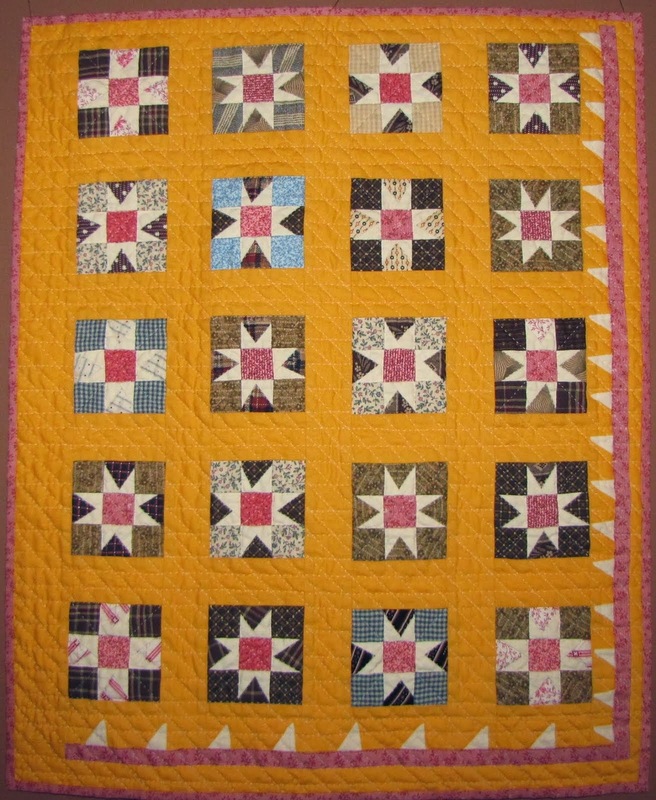 Note: the printed patchwork star/hexagon was produced by Cocheco in about 1882. P.s. don't forget the wavy green 'eccentric' print in the bottom right corner. Here's the full top. 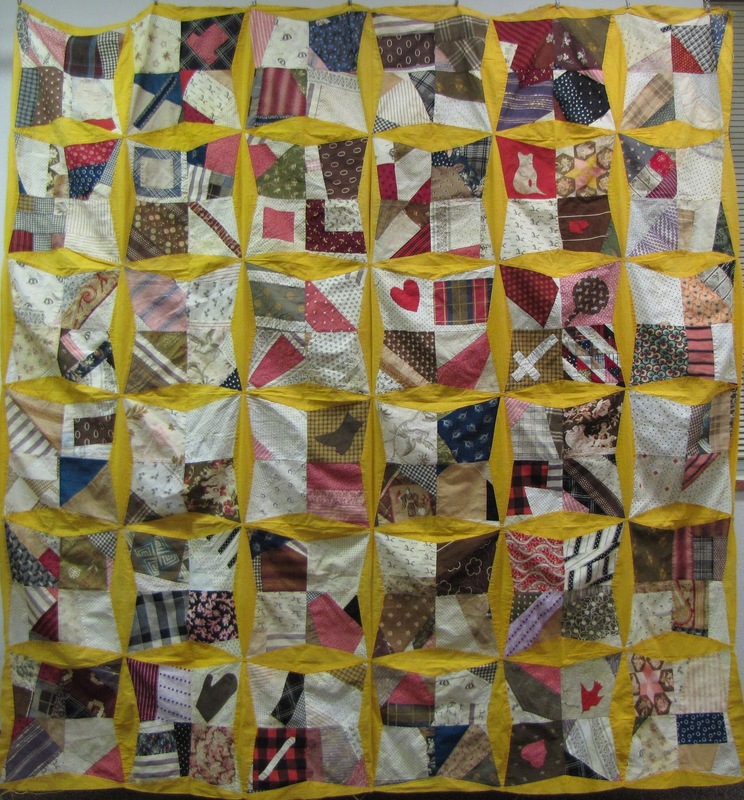 You can see all the different blocks and large variety of piecing and appliques. Quite a charming conglomeration. Do an eye spy of all the motifs: hearts, more mittens, boot, mirror, cross and more. And here is one of the most known and sought after cheater or novelty fabrics: the Mikado (Gilbert and Sullivan opera) this version done in a crazy quilt print. A wonderful parrot? type bird and an indigo blue leaves w/shadows print. More terrific fabrics: jockey cap/horse shoe conversation print; blue and black floral print from Hamilton Print Works printed 1881 (Lowell, Mass.) along with a moire or wood look print in pink; a border print; an ombre pink polka dot and a blue crinkle type print. The Hamilton print is also found in red, tan and green. Here's an old fashioned button shoe applique, a horseshoe novelty and a great sampling of 1890 pinks. 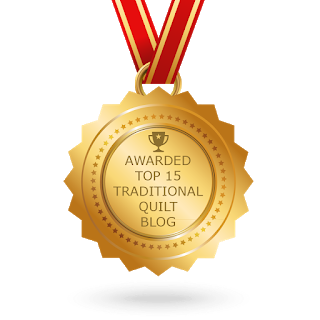 And below is another interesting block- reminds me of a kite or a pinwheel. Enjoy.